threads of the spiderwoman: Avebury: "How Do We Speak With the Earth"? I didn't realize it before I set out, but I knew that I was going on a pilgrimage when I set foot in the airport for this trip, which I booked without any real planning, but a lot of intuitive and spontaneous desire, in summer. The Metaphor here is the Circle, and the Circle has no end. I decided to go to those special places I went to before, and listen to the land, to any conversations that might occur, and any synchronicities or insights as well as I entered into the liminal zone of being a traveller . I didn't realize until I found myself uncomfortably standing in a long customs line at Heathrow (you can do a lot of thinking, in a long customs line) that I was completing a few personal Circles as well as well as seeking them on ancient sites. I was last here for the Goddess Conference in 2011, and when I returned to the U.S. I became caretaker and for my mother and my brother, until they passed on in 2015. Now I find that my life calls for a new direction, but I don't know what that really might be. 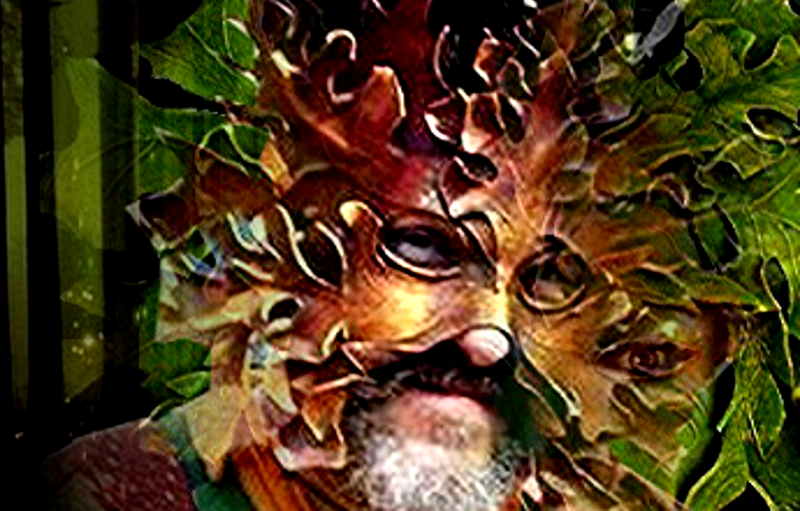 But it came to me, as I waited at the gate for entry to both the UK and my personal journey of pilgrimage that I had arrived with a Question I hoped would inform my future work: "How do we speak with the Earth? And how does the Earth speak to us?" What does such a question mean? How is it important for us as beings inhabiting Gaia? "We are living IN the Earth. Not ON the Earth, but IN the Earth. And what we do to the Earth we are doing to ourselves." 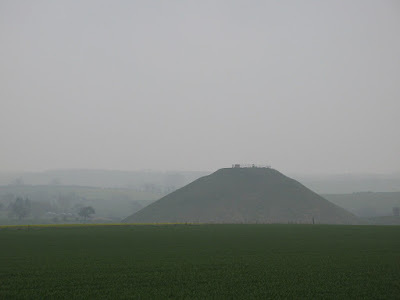 From Customs at last I made my way to Paddington Station in London, then to to Swindon by train, then to Avebury by bus, and wholly exhausted I stepped from the bus to see, perfectly aligned across from the bus stop in the mist, the great prehistoric structure of Silbury Hill. Before me rose the great Belly of the Goddess, the Omphalos of an ancient world. And ever since, I believe answers began to come to my question, as well as loops within my many "Circles". At my AIRBNB my host, Liam, had a deep relationship with Avebury, and he told me about the placement and names of stones and sites, as well as introducing me to his library, including a book called THE SILBURY TREASURE by Michael Dames. Situated just south of Avebury, Silbury Hill is Europe's tallest prehistoric structure. 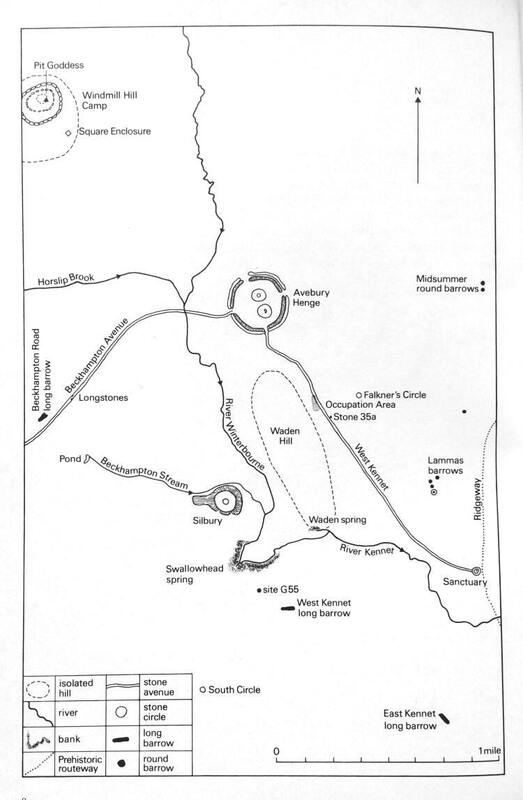 Dames argues that Silbury, like other "neolithic Harvest Hills" represents the pregnant belly of the Great Mother in one phase of Her universal life. Dames' brilliant exploration of an ancient theology in which the land itself, all of it's rivers, waters, stones and invisible currents was the very Deity Herself............gives a whole new meaning to the "Return of the Goddess" concept. Gaia, the Great Mother, long before she became Demeter, or Mary, or..........more on this in another post. 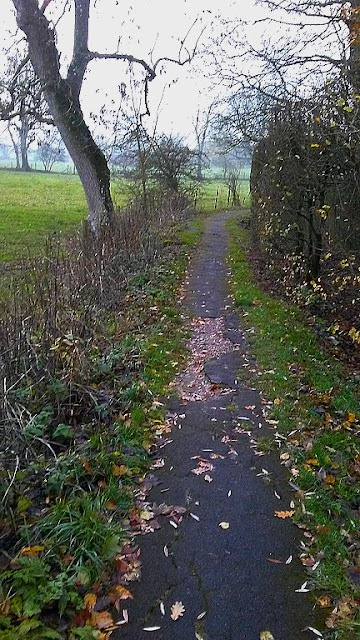 When I walked out to the Avebury complex through the little village of Avebury I found the high and sparkling energies I remembered so well, an intensification of a deep life force vitality I have come to recognize when i am in sacred places, places of numinosity and telleric force. There is no doubt in my mind (or body mind) that these prehistoric sites marked places of power, as well as serving to intensify or channel the animating, life giving Earth energies present through placement of the stones. I believe that these prehistoric sacred landscapes also augmented the healing and consciousness changing properties through the interaction of the people themselves with the "spirit of the land". John Steele called this "geomantic reciprocity" . I stood before a megalith that is part of two stones called "the Cove", one wide, one tall and narrow. I think these impressive stones mark one of the "entrances" to the inner circle, marking one of the avenues or processional paths. Originally there were three stones in alignment with each other at that point, but one of the three was pulled down and broken by villagers. 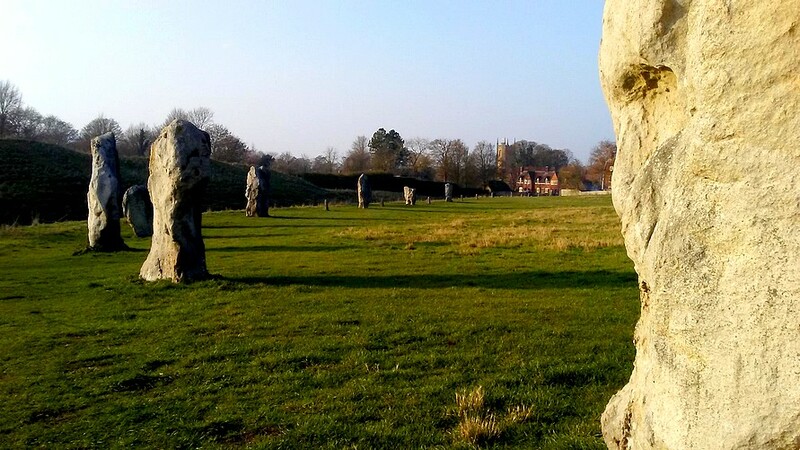 Many of the original stones of Avebury became building material for the village of Avebury. I met a man who was dowsing the area, and we struck up a conversation. So immediate and friendly was recognition between the two of us that although we must have talked and walked around for over an hour, I never did get his name. 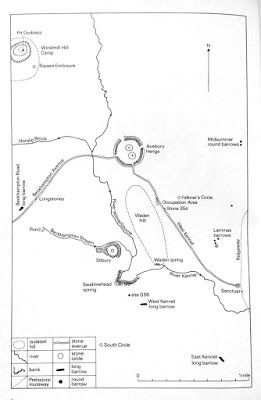 He told me he had many times dowsed at Avebury, and that there were "male and female" polarities or lines connected to the site and even particular stones. He spoke about the St. Micheal Line and the St. Mary line, ley lines that extend for many miles across the lands of Britain. 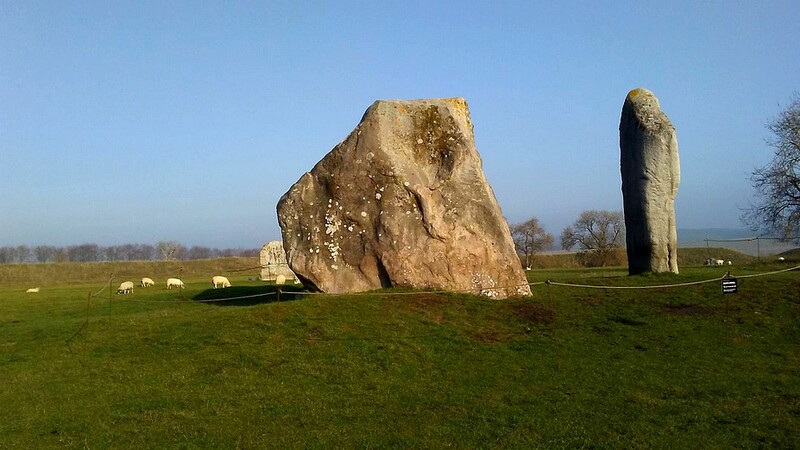 They intersect at certain points at Avebury. He also spoke about "dragon lines" that were different although often complimentary to the ley lines, serpentine lines or currents of (force? energy?) that interact with different points within the empowered landscape. I need to inquire more about this, but I think, again, about a life long (and cultural) fascination with the serpent, the dragon, and the continual weaving of this motif through mythology and art. And there I was, among the winding Dragons under my very feet, the great Stones before me. A journey ahead, an adventure, and I was just at the beginning! Wow, Lauren, this is just fascinating! A wonderful start to your journey, I'm looking forward to reading more. Thanks you Lauren. As usual, very well written and evocative. These three lines written in the last three minutes ... to wish you on your way. she turns to me, I to her.